Once you know charting basics, try four alternative indicators: on-balance volume (OBV), average true range (ATR), plus Thermo Mode and Monkey Bars from thinkorswim® by TD Ameritrade. Unless you’ve been living on a desert island for 30 years, you’ve probably heard “alternative” used to describe music—a rock subgenre with a sound that ranges from simple and familiar to complex or completely foreign. There are also alternative technical indicators in trading. They may be considered out of the mainstream, but they’re rooted in the familiar riffs you learned as part of the trading chart basics. Here we’ll dive into four technical indicators to add to your collection: on-balance volume (OBV), average true range (ATR), and from the TD Ameritrade thinkorswim platform, Thermo Mode and Monkey Bars. Joseph Granville created the on-balance volume (OBV) indicator in the 1960s based on his theory of price to volume. Granville believed that volume leads price, and that when volume increases dramatically without a corresponding change in price, it’s only a matter of time before price will increase (and vice versa). The OBV indicator can also be used to potentially spot a trend’s end when the indicator diverges from price (see figure 1). FIGURE 1: CHANNEL SURFING. As price proceeds upward in a channel, OBV (shown in the lower pane) remains flat, indicating that the trend is weak and could end. After price flattens and moves into a downtrend, OBV moves in sync, confirming the trend for chart readers. Chart source: the thinkorswim® platform from TD Ameritrade. For illustrative purposes only. Past performance does not guarantee future results. A weakness of this technical indicator is that it lacks a signal line or any established overbought or oversold areas. Consequently, it’s likely best used as a secondary, or confirming, indicator. Perhaps one of the most underrated alternative indicators is average true range (ATR), which measures the volatility in a stock by taking its range—the distance between the high and low in the time frame under study—and then plotting that measurement as a moving average (see figure 2). 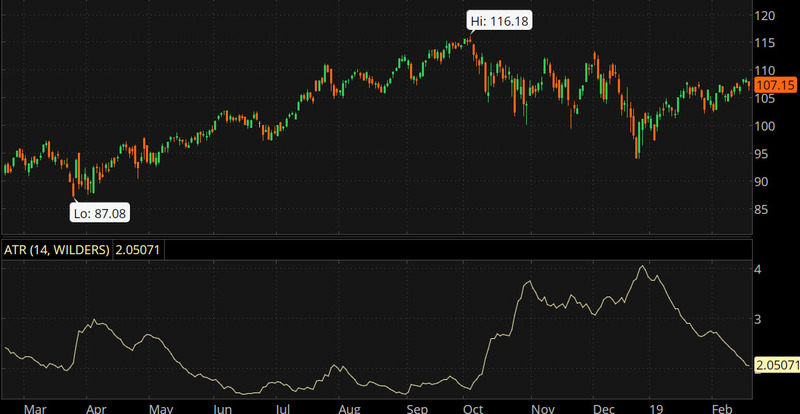 The ATR indicator tends to move when volatility increases and flatten when it contracts. But the true power of this technical indicator is its ability to signal potential buy points and then create trailing stops (predetermined chart points to set an order to exit the trade). 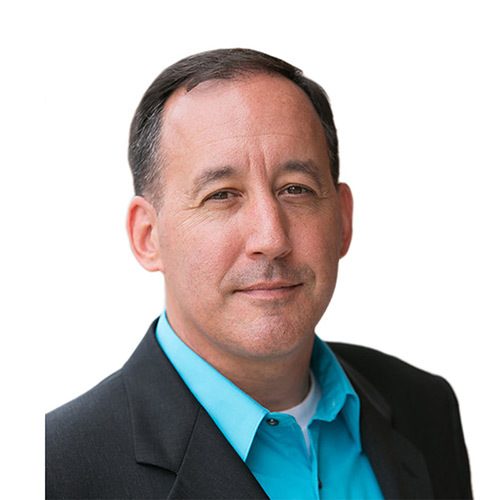 Because the trailing stops are based on volatility, they respond dynamically to changes in price, making it less likely (although not guaranteed) that you’ll be stopped out prematurely during a move. FIGURE 2: FINDING THE ATR. To add ATR as a lower study in the thinkorswim platform, under Studies, select Volatility Studies > ATR. Note the stock currently has a daily ATR of 2.05, but over the past year, it has been as high as 4 and as low as 1.5. Chart source: the thinkorswim® platform from TD Ameritrade. For illustrative purposes only. Past performance does not guarantee future results. ATR is a volatility indicator, not a directional indicator. 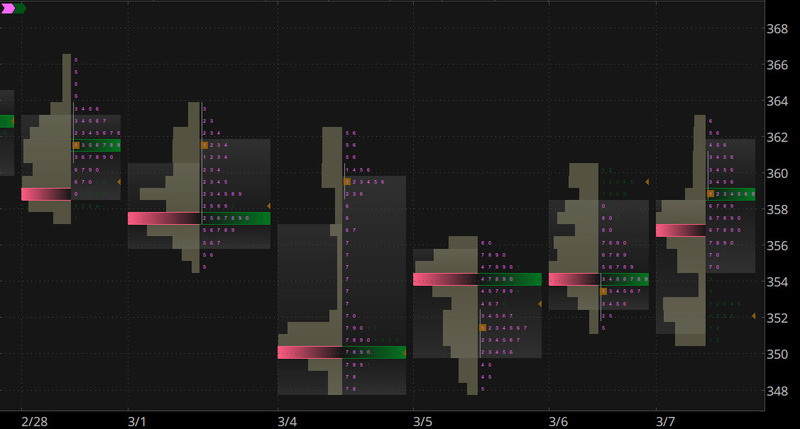 If you’re not using ATR to set trailing stops, it too is best used as a secondary indicator that can help confirm the market’s enthusiasm—or lack thereof—for range breakouts. Thermo Mode, a proprietary TD Ameritrade feature, offers an alternative way to view and interpret other indicators. 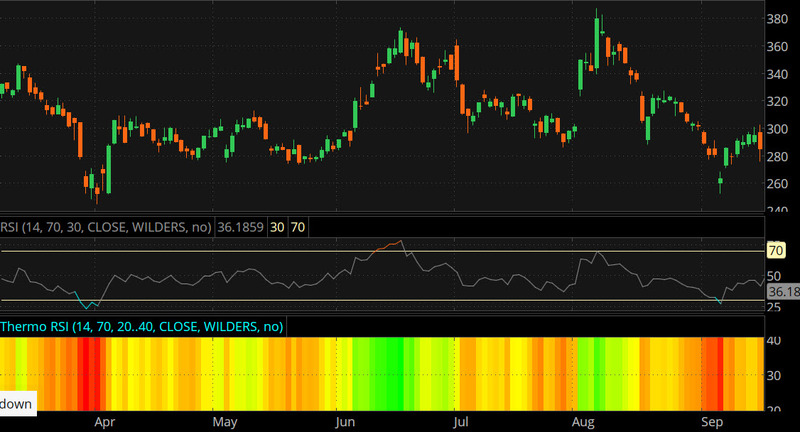 Graphic and customizable, Thermo Mode displays “heat” colors at various intensities to highlight readings in indicators such as the Relative Strength Index (RSI). Users can display the values of a plotted contract—based on the underlying indicator—with numerous look-back periods. Thermo Mode assigns specific colors to the lowest and highest values (see figure 3). FIGURE 3: HOT AND COLD. As the RSI (middle pane) reaches overbought levels, Thermo Mode—charted as Thermo RSI in this view—turns bright green (bottom pane). 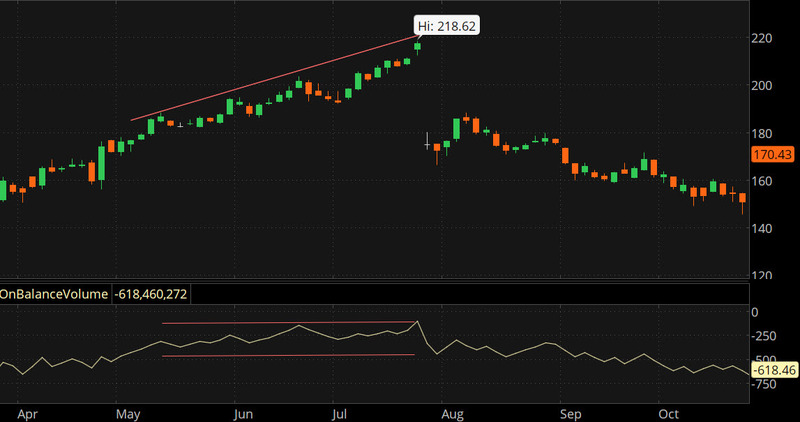 As RSI goes into oversold territory, deep red emerges in the bottom pane. Chart source: the thinkorswim® platform from TD Ameritrade. For illustrative purposes only. Past performance does not guarantee future results. After logging in and launching thinkorswim, go to Study Properties and select the checkbox. Choose the plot values to analyze. Choose the input parameter for the look-back period. Note that only numerical inputs can be used. Specify the range of the look-back period. Thermo Mode will calculate plot values with each period in this range. Range limits are set automatically: The lower limit is the study input value minus 10, and the higher limit is the study input value plus 10. Specify the minimum value and its representation color. All lower values will be displayed using the specified color. By default, automatic mode is on, so this value is equal to the lowest value of the plot calculated with all look-back periods in the range. Specify the maximum value and its representation color. All higher values will be displayed using the specified color. By default, automatic mode is on, so this value is equal to the highest value of the plot calculated with all look-back periods in the range. When you first enable Monkey Bars trading, another proprietary charting mode from TD Ameritrade, you might think that alien crafts have landed on your screen. But interpreting this unique display will become second nature after some practice (see figure 4). Monkey Bars can quickly highlight key price trend reversals, areas of momentum, and sideways price action. But because the indicator is based on real volatility, it’s best used on liquid stocks and only during regular market hours. It’s also useful for analyzing widely traded futures. How to get there? Users can fully customize the look and feel of the Chart Settings tab. To apply any desired changes (including Monkey Bars trading), navigate to Style > Settings > Appearance. FIGURE 4: MONKEY SEE? Here we see volume strength in a six-day range using one-hour bars. Chart source: the thinkorswim® platform from TD Ameritrade. For illustrative purposes only. Past performance does not guarantee future results. The Monkey Bars show how much total volume has traded at different price levels, as well as the number of trades at those price levels (see figure 4). The number of trades differs from the total volume in this case because a trade of 100 shares and a trade of 1,000 shares each count as a single trade, although the total volume is 1,100 shares. Just like alternative music, alternative technical indicators can provide a different sound in a similar genre. Now that you’re familiar with these four, you can consider programming them into your trading playlist. While this article discusses technical analysis, other approaches, including fundamental analysis, may assert very different views.